Larry Kudlow – is a CNBC senior contributor. 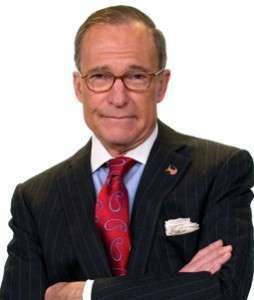 He is also the host of “The Larry Kudlow Show” and a nationally syndicated columnist. He is the recipient of numerous awards. Kudlow is CEO of Kudlow & Co., LLC, an economic research firm (www.kudlow.com). He was formerly chief economist and senior managing director of Bear Stearns & Company. Kudlow started his professional career at the Federal Reserve Bank of New York where he worked in open-market operations and bank supervision. Hear Larry Kudlow from 3 to 6pm Saturdays on KZIM KSIM.